Chicken, bacon, ranch. What a combo! Plenty of fast food and chain restaurants have some version of a CBR sandwich, usually made with fried chicken, tons of bacon, and fatty ranch dressing. And yeah... they're usually awesome. 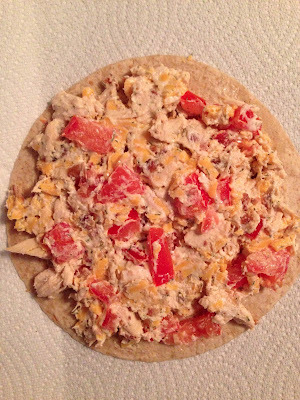 Ryan in particular loves this combo, so I figured I'd try to create a healthier version of this tasty combination of flavors. And why not do it in a quesadilla?! I LOVE quesadillas. I could eat plain old chicken and cheese quesadillas dipped in sour cream til' the cows come home. 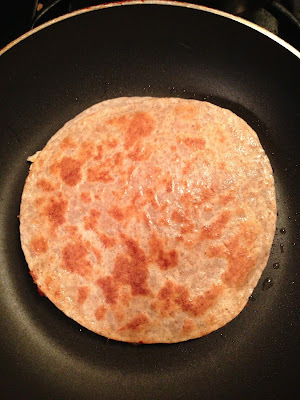 This lightened up CBR quesadilla totally satisfies a craving for something carby, cheesy, and decadent. I mean hello... it has bacon and cheddar cheese! But it's WAY healthier than you may think. Each quesadilla only has approximately 430 calories -- including the dipping sauce that tastes like a combination of sour cream and ranch! 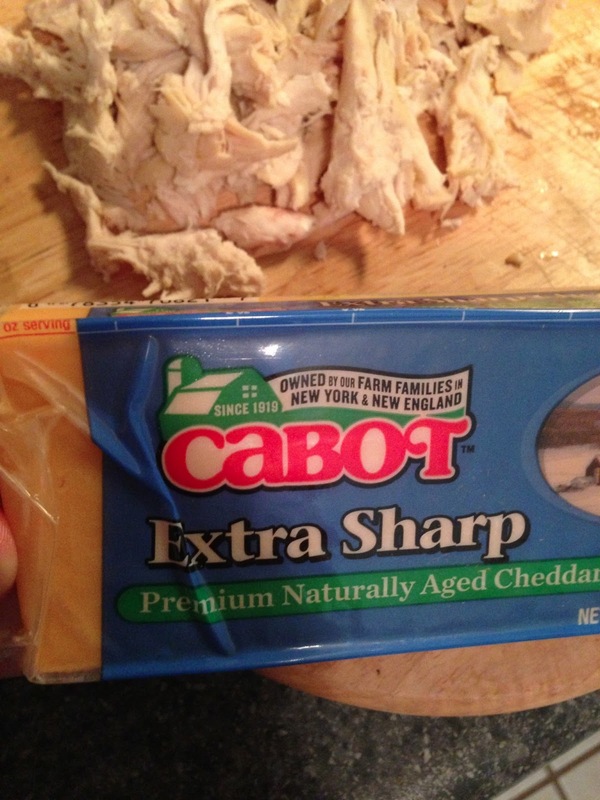 Not to mention it has about 30 grams of protein and 15 grams of fiber and is actually pretty low in net carbs! Niiiice. 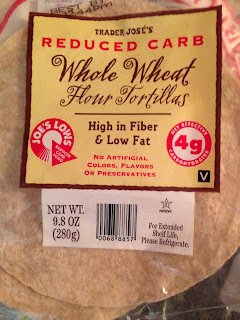 You can use your favorite whole wheat tortillas in this recipe. 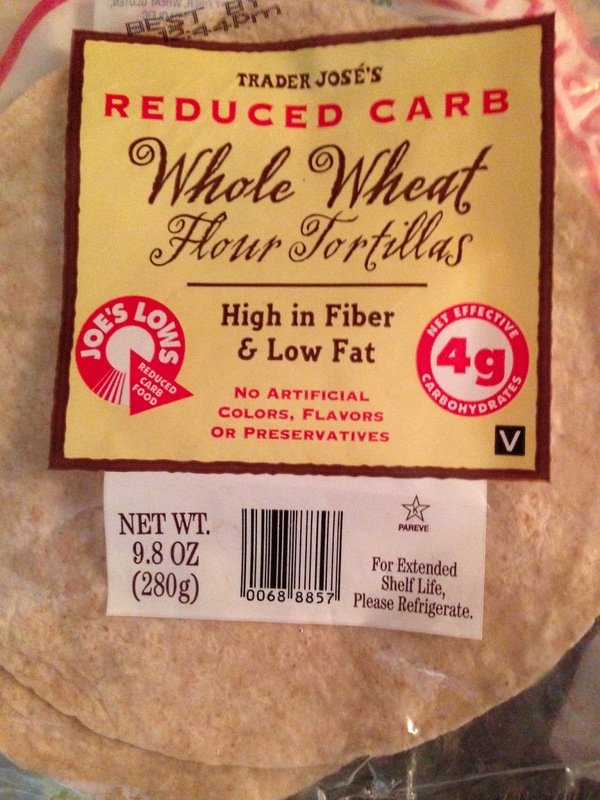 Personally, I really recommend Trader Joe's Reduced Carb Whole Wheat flour tortillas (and that's what I used to calculate nutrition) - they are great! I use them all the time for wraps and quesadillas. 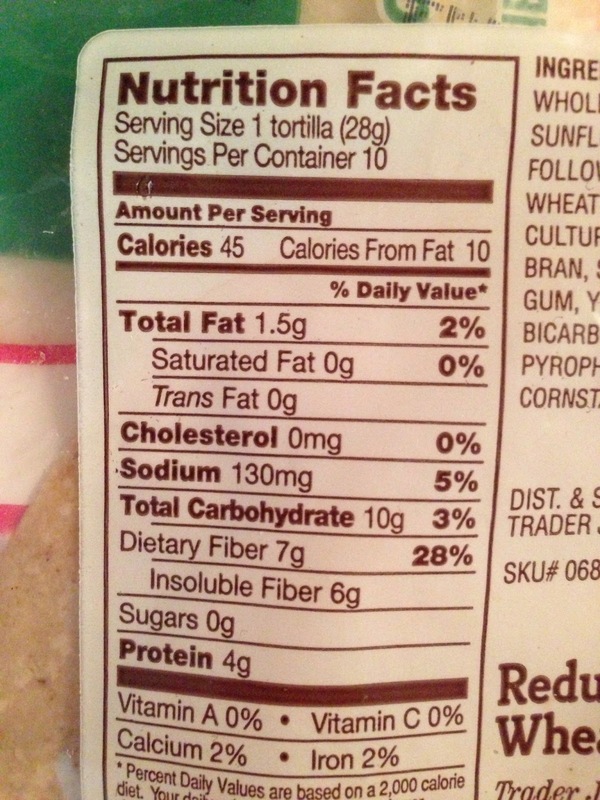 I can't get over the awesome nutrition information on these. 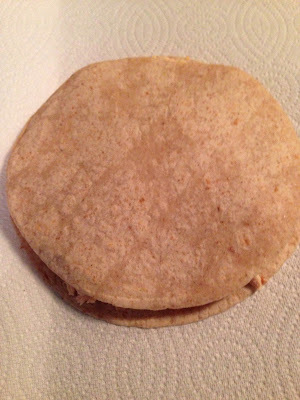 They definitely aren't quite as good as plain white tortillas for quesadillas, to be honest....I know this because I made Ryan's with white tortillas and had a bite. YUM. But that's okay. Mine was also excellent! Cook 2 slices of bacon over medium-high heat until crispy. Lastly, you'll need your ingredients for your light "ranch" dipping sauce: 1/2 cup plain greek yogurt, 1 tbsp olive oil, 1/2 tsp dried dill, 1/2 tsp onion powder, 1/4 tsp garlic powder, and 1/8 tsp each salt and pepper. Mix well. Crumble the bacon into very small pieces/crumbs (we want those 2 pieces to spread far!). 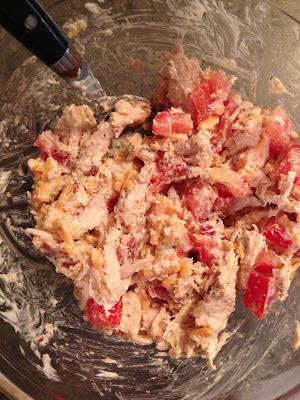 Prepare all of your ingredients for the quesadilla filling: chicken, bacon, cheese, tomatoes, and HALF of your yogurt sauce (reserve the rest for dipping). Lay your tortillas out on a flat work surface. Spoon half of the filling onto 1 tortilla, and the other half onto another. 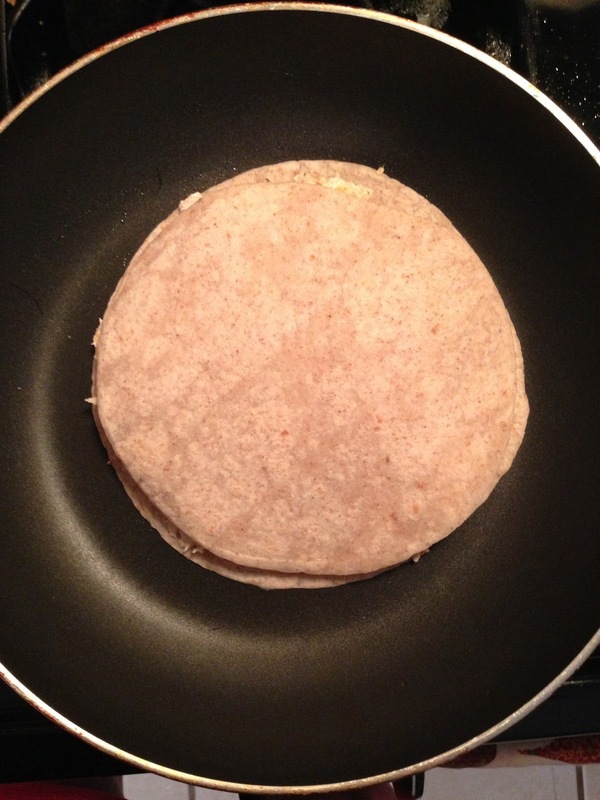 Using the back of a spoon, spread the filling around the tortilla to cover the whole surface. Heat a tiny knob of butter - about 1/4 tbsp - over medium heat in a nonstick skillet, spreading to cover the pan. 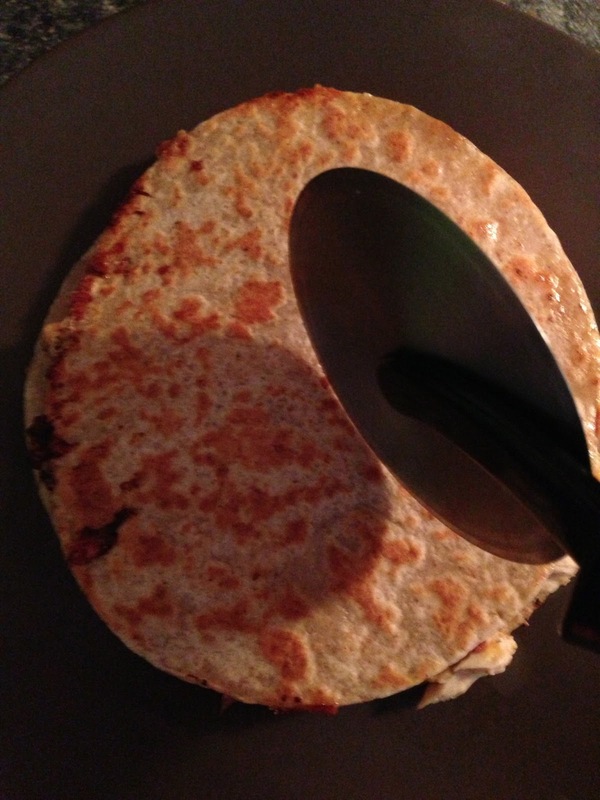 Carefully lay the quesadilla onto the pan. 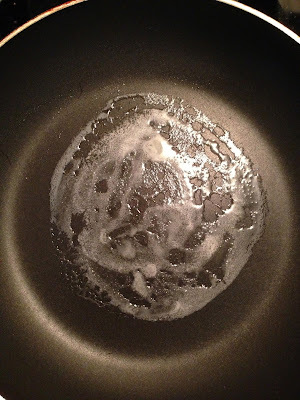 Cook until browned on the first side, about 3-4 minutes, then carefully flip. Cook until browned on the second side, another 3-4 minutes. Slide onto a plate and slice into pieces using a pizza cutter. Repeat for the second quesadilla. Serve with the other half of the dipping sauce. Yum! 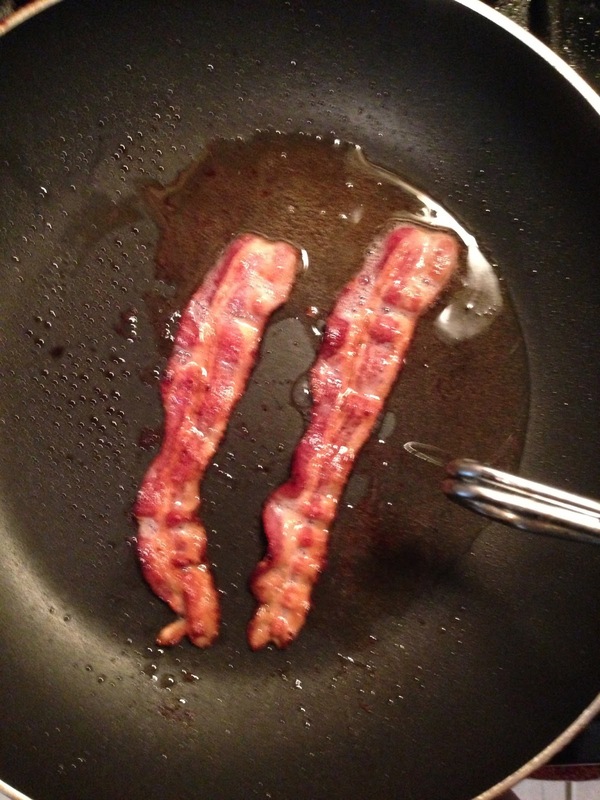 -Cook the bacon in a nonstick skillet over medium-high heat until crispy. Let drain on paper towels. Wipe out skillet with a paper towel and turn off heat. 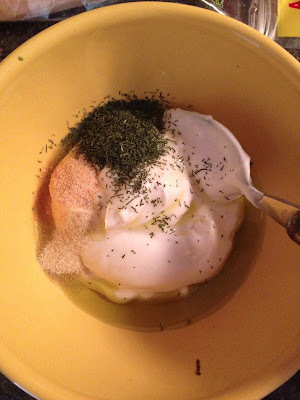 -For the "ranch": combine greek yogurt, olive oil, and spices. Mix well. 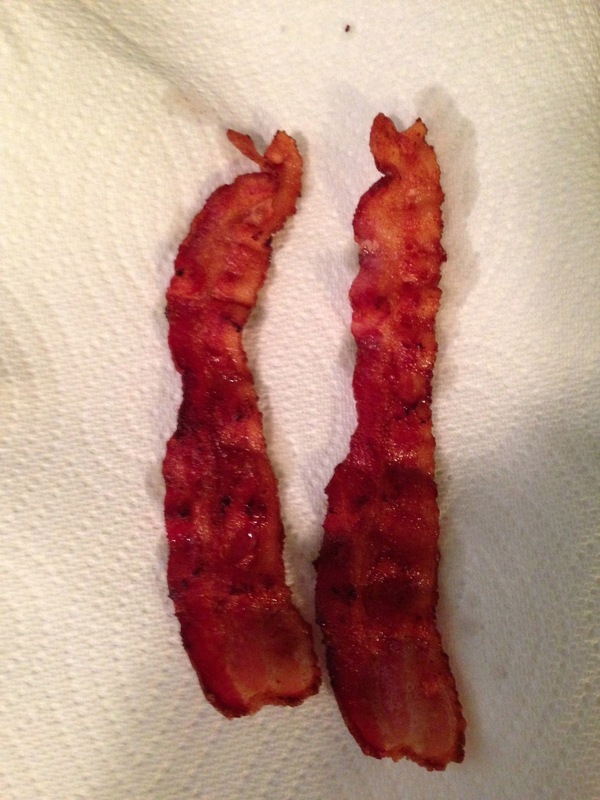 -Break bacon pieces into very small pieces. -In a bowl, combine chicken, bacon, cheese, tomato, and HALF of the dip. Mix very well. Put the rest of the dip in the fridge until ready to serve. -Spoon half of the chicken mixture onto one tortilla. Top with another tortilla. Repeat. 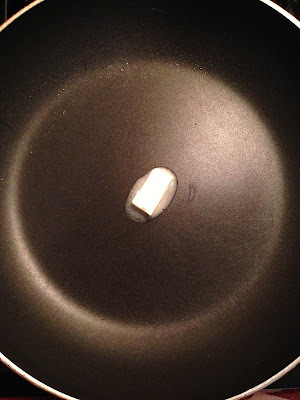 -Heat 1/4 tbsp butter over medium heat, spreading to cover pan. Gently place one tortilla onto pan. Cook until browned on the first side, about 3-4 minutes. Carefully flip, and cook until browned on the other side, another 3-4 minutes. Slide onto a plate and cut into slices with a pizza cutter. Repeat for the second quesadilla. -Serve with the rest of the "ranch" sauce for dipping. 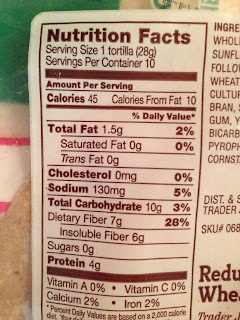 Any idea what the 21 Day fix portions are on this? ?